From Coin Mining to Supply Chain Attacks. The Latest Threat Trends Explained. From the sudden spread of WannaCry and Petya/NotPetya, to the swift growth in coin miners, 2017 provided us with another reminder that digital security threats can come from new and unexpected sources.Not only has the sheer volume of threats increased, but the threat landscape has become more diverse, with attackers working harder to discover new avenues of attack and cover their tracks while doing so. 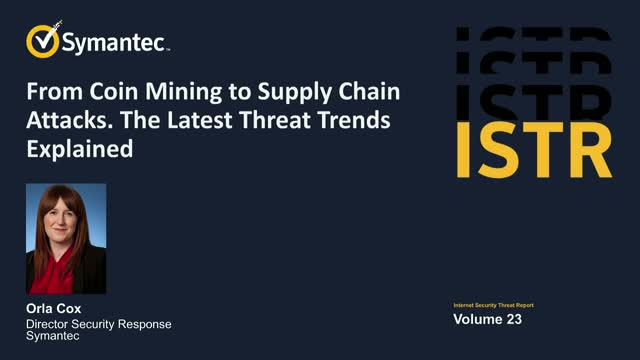 Title: From Coin Mining to Supply Chain Attacks. The Latest Threat Trends Explained.